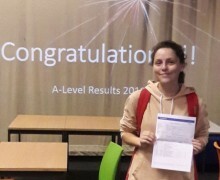 Sandwich Technology School students and staff have been celebrating a fantastic set of academic, International Baccalaureate and vocational A-Level results. 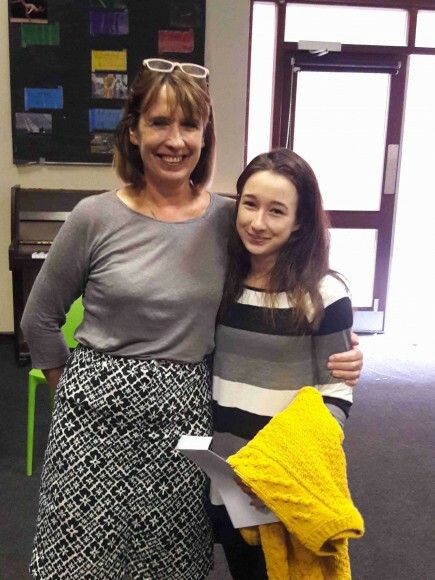 This year, as reported widely in the press, the post-16 qualifications have been harder than ever before and STS students have risen to the challenge. The wide and varied curriculum on offer at the school has provided the students with excellent progression routes into University, College, Apprenticeships and employment. 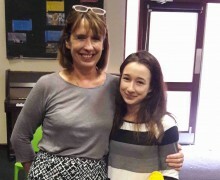 The school is particularly pleased with the improved A-Level results in English, History, Psychology and Mathematics and that the recent introduction of Physics, Biology and Criminology has been successful. Students deserving a particular mention are Hollie Townsend, who achieved a triple Distinction* through the Football Academy and who is going on to Exeter University to study Psychology with Sport and Exercise Science; Matt Gingell, Jess Guyver, and Alex Munteanu, who all achieved three B grades and are going on to a gap year, Kent University to study English Literature and Kent University to study Criminology and Law respectively. 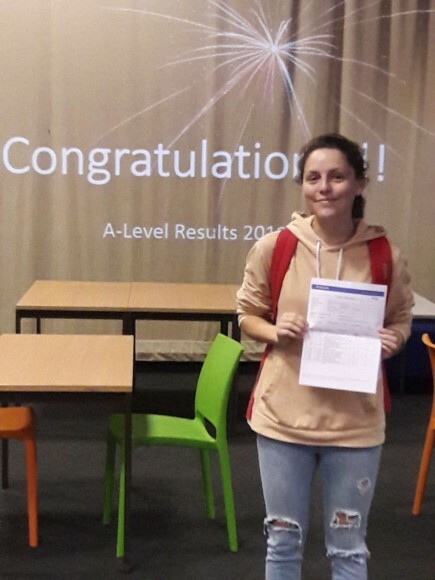 Congratulations also to Kai Glover, Emmy Midgley and Jessica Phipp, who all achieved three or more good A-Levels and are off to study at Huddersfield, Lincoln and Canterbury Christ Church Universities respectively. Once again, the majority of STS Sixth Form students have secured a place at their first choice university. Sandwich Technology School is determined to help as many students as possible achieve their dream of Level 3 courses in a non-selective environment, which is why the school is excited about the introduction of a ‘Transition Year’ to the Sixth Form in September 2018. This new programme is designed to help students who wish to study A-Levels but need a little longer to secure their Level 2 studies in a grown up, Sixth Form environment, before successfully studying their A-Levels in Years 13 and 14.